Plumping up our prunes, sinusitis in Fibro and CFID. 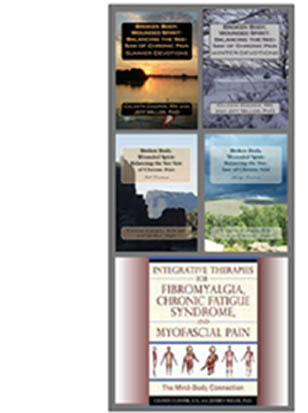 Sharing the philosophies of Integrative Therapies for Fibromyalgia, Chronic Fatigue Syndrome and Myofascial Pain: The Mind-Body Connection by Celeste Cooper, RN and Jeff Miller PhD is the American Academy of Pain Management. Their mission is to advance the field of pain management using an integrative model of patient-centered care by providing evidence-based education for pain practitioners, as well as credentialing and advocacy for its members. John Hopkins on the Power of Prayer. (Discussed in Chapter Five of Integrative Therapies for Fibroyalgia, Chronic Fatigue Syndrome and Myofascial Pain: The Mind Body Connection. (Healing Arts Press, cooper & Miller, 2010). Andrew Weil, MD. Allergy Best Test! (Comorbid Allergy discussed in Chapter One of Integrative Therapies for Fibromyalgia, Chronic Fatigue Syndrome and Myofascial Pain: The Mind Body Connection. (Healing Arts Press, cooper & Miller, 2010). How can fibromyalgia be diagnosed if no one knows what causes it? How do I know if a fibromyalgia support group is right for me? Am I a good candidate for Tai Chi as therapy for fibromyalgia? Looking forward to what happens at the Chronic Fatigue Syndrome Action Committee, who reports directly to the Secretary of Health and Human Services, Katherine Sebelius under the administrative branch of the United States government. DASH Diet Cooking voted #1 diet by US News & World Reports because it works! 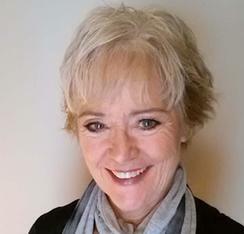 Deirdre Rawlings' passion for holistic medicine was ignited by her success in healing her own high cholesterol, high triglycerides, fatigue problems, sugar addiction, adrenal exhaustion, and food allergies. The result for botox in treatment of migraine have fallen short of expectation. It’s difficult to find correct terminology for each of the three disorders discussed in this book. Although that may seem trivial to some, the name of a disorder can have a tremendous impact on the way it is perceived and treated. Meshea Crysup. Oh Celeste...kindred spirits gal! In chapter 1 you make my argument for fibroLIFE. I read each line shaking my head, "Yes, yes, yes!" Won't go on and on...just wanted to share this with you and hope it lifts you up as I know such a note would me! Blessings! What healthy habit can I exchange for one that keeps me from moving forward in a healthy way?